Originally published in 1890 by Madame Blavatsky, this paper serves as part defense of and part biography of Franz Anton Mesmer. She discusses how science disavows magic while at the same time adopting and renaming identical concepts. She writes of the relationship between hypnotism and mesmerism, as well as how both were looked at within the scientific and occult communities across Europe at the time. 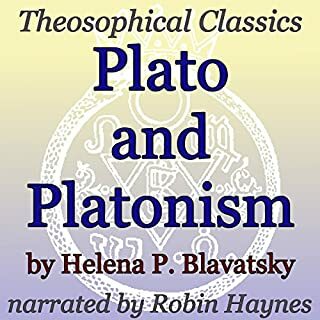 Notable author and founder of the modern Theosophical movement Helena Blavatsky highlights Plato, his teachings, and his legacy in this essay. It is the Platonic philosophy, the most elaborate compend of the abstruse systems of old India that can alone afford us this middle ground. Although 22 and a quarter centuries have elapsed since the death of Plato, the great minds of the world are still occupied with his writings. He was, in the fullest sense of the word, the world's interpreter. 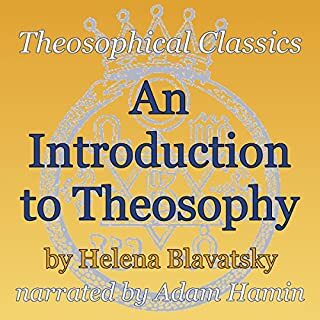 Helena P. Blavatsky was a prolific writer and scholar who spearheaded the modern Theosophic movement. 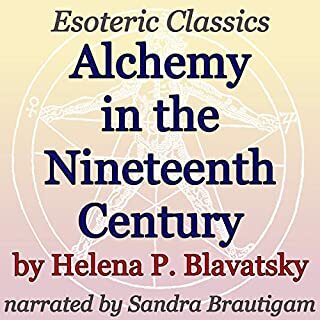 Here she gives an historical examination of the history and study of alchemy, but specifically as it was related to the esotericists of the 19th century. And, as always she includes her philosophical comments on the matter. Hermeticism is a religious/philosophical ideology based upon writings attributed to Hermes Trismegistus (ancient Greek god). 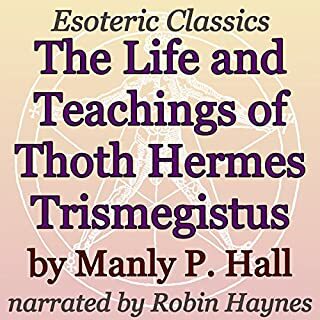 This Hermetic collection contains the most influential Hermetic writings: The Kybalion, Corpus Hermeticum: The Divine Pymander of Hermes, and The Life and Teachings of Thoth Hermes Trismegistus. Renowned esoteric author Manly P. Hall examines the beliefs of Paracelsus and the fabled spirits associated with the four classical elements, as Paracelsus taught. Paracelsus believed that each of the four primary elements known to the ancients (earth, fire, air, and water) consists of a subtle, vaporous principle and a gross corporeal substance. This is fundamental learning for any student of the occult sciences. Blavatsky engages in a spirited debate on spiritualism, defending an article entitled "Fragments of Occult Truth" by another writer, though one she had published in her own periodical, The Theosophist. The article had come under attack by a rival magazine of the time, and Blavatsky comes to the rescue. Madame Blavatsky was the face of the Theosophical movement, and probably its most prolific writer. In this particular piece, published in 1889, she writes somewhat philosophically about the dawning of a new age of writers and religious thinkers. She feels that she is witnessing an equalization of sorts, within society, which she refers to as the Awakening Spirit of Humanity. She urges the listener to participate, rather than just sit idly by and observe. 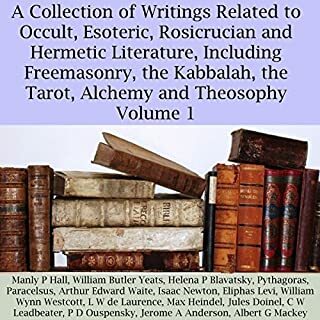 Written as an overview of Rosicrucian history, esoteric author Manly P. Hall explores different theories as to the beginnings and motives behind the fabled secret society, the Rosicrucians. He discusses the life and death of Christian Rosenkreuz, the famas, as well as scholarly interpretations of the Society and their possible motives. Renowned occult writer, Manly P. Hall, not only explores the history and images of the tarot cards, but he delves into the secret occult symbolism while examining the divinatory meaning behind each of the 22 major arcana. Manly P. Hall quotes Eliphas Levin, stating: with no other book than the Tarot, if he knew how to use it, could in a few years acquire universal knowledge, and would be able to speak on all subjects with unequalled learning and inexhaustible eloquence. This is a new edition of Madame Blavatsky's famous book on shabd yoga. Her work has similarities with the Nada Bindu Upanishad and the Hatha Yoga Pradipika and Shiv Dayal Singh's Sar Bachan. Highly recommended for those interested in meditation that focuses on listening to inner music and focusing on inner light and achieving spiritual liberation or moksha. Manly P. Hall was the founder of the Philosophical Research Society. In over 75 years of dynamic public activity, he delivered more than 8,000 lectures in the United States and abroad, and authored countless books, essays, and articles. In his lectures and writings, Manly Hall always emphasized the practical aspects of philosophy and religion as they applied to daily living. Through this book you have the ability to personally expand the knowledge with wisdom and understanding. 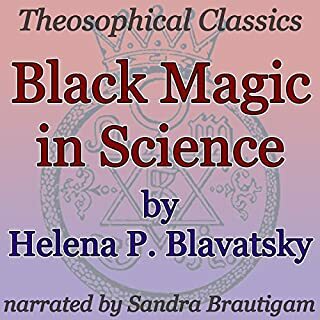 In addition to being a prolific writer of Theosophical and occult teachings, Madame Blavatsky also penned a few tales of short fiction; although, she often claimed the events of her tales to be true, for added effect. This one recounts the tale of a traveler abroad, while searching for her lost dog and with aid of the whirling dervishes, encounters a strange humanoid creature known as the Oracle of Damascus, which they attempt to subdue. 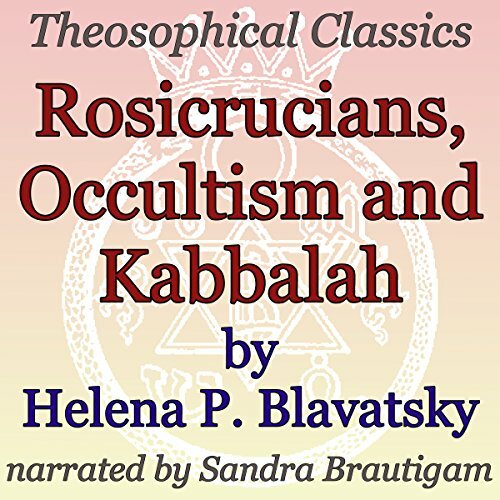 Renowned occultist and founder of the Theosophical Society, here Madame Blavatsky explores the legitimacy of Rosicrucianism and what that brotherhood means in a greater sense to the occult movement in general. She also compares different types of Kabbalah and discusses how they relate. I was looking forward to detailed information about the three disciplines but this was just a gloss over. The writing and presentation was not fluid and appeared forced or technical. The presentation just seemed to address the history of the subject's.